Using our PACER and WIZARD phone systems, we can broadcast voice messages and reminder service announcements to your clients and community. Phone call messages can be automatically generated using our XML Push technology. Our phone message service can place one call or millions of calls. Pre-recorded messages can be played to either individuals and answering machines or just to individuals. Different messages can be played to an answering machine versus an individual. Simple to complex scripts can be developed for touchphone response. Calls can be directed to operators that are standing by or can be transferred to outside third parties. Paraplegic Stay at Home Dad, Plans on Building a Million Dollar Health And Wellness Business, Giving Away Free Products. Wilton Police Department Are You OK? To quickly broadcast your call reminders and alerts, Database Systems Corp. offers a comprehensive phone reminder service. Pre-recorded messages can be played to either answering machines or to individuals informing them of upcoming conventions, community events, doctor or dental appointments, warranty repair notification, civil alerts, or marketing promotions. Different messages can be played to an answering machine versus an individual. Simple to complex scripts can be developed for touchphone response. Calls can be directed to operators that are standing by or can be transferred to outside third parties. Personalized information from your custom database (such as name, appointment date and time) can be included in call notifications. In some campaigns, you may only want to leave a message if an answering machine is detected. In other campaigns, different messages can be played based upon contact with an answering machine or a person and based upon the time of day. An individual could be given a message with selection options using our interactive touchphone response system. 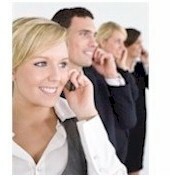 Calls can be routed to a remote company representative or to a group of service agents. Multiple message campaigns can be performed at the same time, each with its own set of business rules. 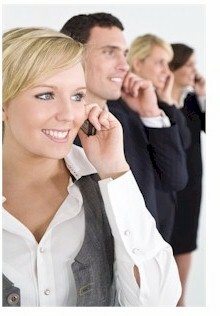 Our call announcement system can conform to your specific requirements.